New Years Eve Tickets New Years Eve tickets are a great alternative for those that either don't have the budget or can't get a large enough group together to justify a private new years eve cruise. Ticketed New Years Eve cruises allow you to spend the night with new and exciting people who like you are out to experience what Sydney Harbour has to offer on New Years Eve. Boat hire and bad weather. 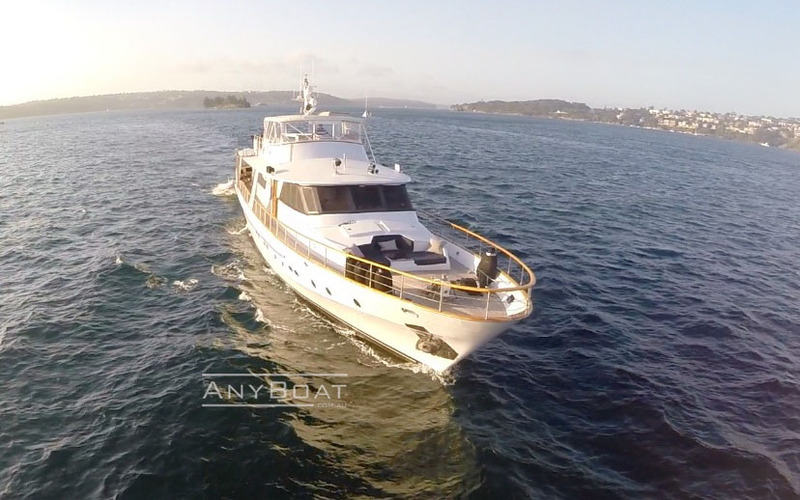 Boat hire in Sydney has seen a wet start to the summer season but this doesn’t mean that any charter boats have had to9 cancel cruises. In fact as far as we are aware only one cruise has been cancelled with all of this weather which was mainly due to an issue with wind. I often get asked about what will happen if it rains on the day of a cruise and the answer is this. If it happens to rain there is no need to worry. Your boat hire will not be cancelled unless it is unsafe to go out and I have never seen a day on Sydney Harbour where it is unsafe to go out. If you are concerned that you will not have as much fun on your harbour cruise during the rain you also don’t have to worry. After working with Sydney charter boats for many years now I can honestly say that people have more fun on rainy days than they do on sunny days. The rain tends to force people undercover where they all mingle with each other and really make a party of it. It looks like the worst of the bad weather may be behind us now so it should all be smooth sailing from here (excuse the pun) and with any luck the rest of the season will see beautiful blue skies and sunny days ahead to ensure your boat hire is perfect. Any Boat Scoops The pool In Business Awards! Three Unique Experiences For Valentines Day! New Years Eve Cruise Options Selling Out Quick! © 2019 All rights reserved Any Boat Pty Ltd.